Amazing hotel with incredible facilities - it's like a mini city! The most beautiful aquarium and so many different restaurant/bar options. We upgraded to Imperial Club which seemed worthwhile however, there were SO many children that it ruined it. We had to line up for breakfast and other meals for around 10 minutes because it was so packed with families, which was disgusting when you pay so much extra. They shouldn't allow children into Imperial Club - it should be minimum 12 years of age. That was one part which was really disappointing. Nice hotel great atmosphere, room was very nite and clean with nice balcony and nice ocean view, bed was very comfortable, but staff are not friendly and helpful. Breakfast was very good, Restaurants atmosphere are excellent, lobby area and swimming pool area are over crowded. From the people to the facilities, everything was perfect. If I could give more stars than five, I will. You’ll get the worth of what you paid for. great place to stay with kids. This hotel has stuff the kids want, water park and aquarium, dolphins, loads of restaurants but it’s super far from airport and jammed full of tourists — it took an hour to check in, everything is stressful, getting reservations at restaurants— because it’s so damn crowded with tourists and it’s so huge, it’s like getting around a city. Been there twice but this was my last time, better stay somewhere more boutique and visit the water park as a vip day guest. We stayed here as a treat for our anniversary. Staff were friendly and attentive from the moment our taxi pulled up outside right through to getting back in a taxi on check out. The hotel is clean, the rooms have lots of great little touches and he facilities for guests are amazing! We would definitely return, we didn’t want to leave! Book 2 nights if you're only up for experience. we only had 1 and it wasnt enough and thats as far as our budget goes. the property is gigantic and theres too many things you have to check. we were 1.5hrs late checkin. i think its been quite a while since I booked agoda since this is the 1st time I encountered about the fraud prevention email in order for my booking to go through. I booked it the same day and the HD told me i had to go wait for 24hrs but thank you for still accommodating us. it was my mistake for not checking agodas email i think it was just fair. 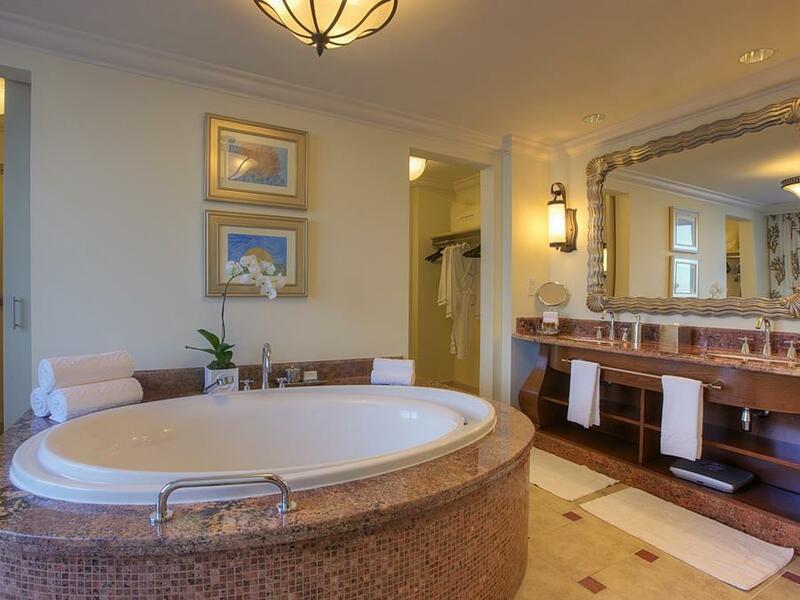 anyway, totally 5 star and i love the rooms with the nice tubs. free entrance to aquaventure where we tried to explore for only an hour since the wind was cold. will come back if given a chance! My husband and I went to the Atlantis during Ramadan. They had some amazing offers that we couldn't pass up as we are UAE residents. The staff was helpful and kind. There were several restaurants to eat at on the Palm and many of them delivered room service. The valet service was free and prompt too. Perfect vacation in a beautiful luxurious resort! Wonderful staff going the extra mile! Spa is my best experience of pampering. The water park is the highlight of fun! 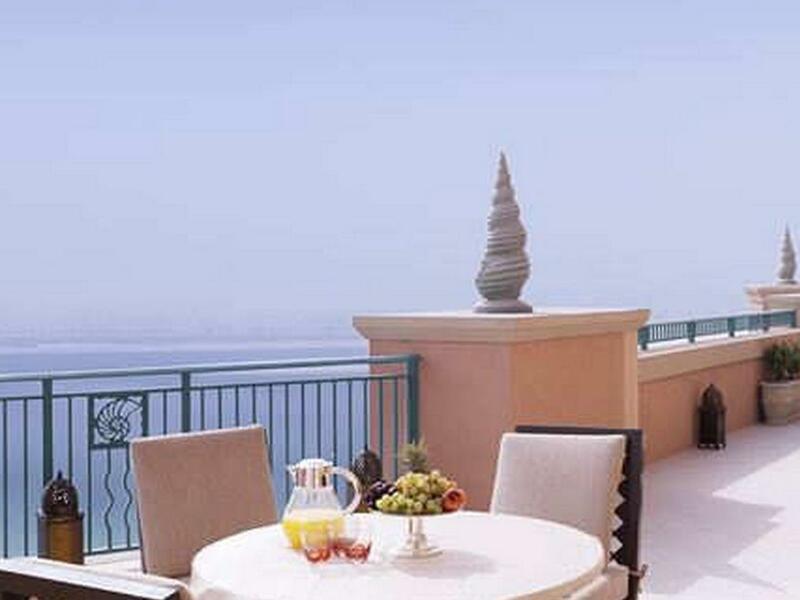 Comfortable and beautiful terrace suite overlooking the Dubai Skyline! Shout out to the Royal Majilis team. Great, delicious breakfast buffet selection. Wish we stayed longer! We were traveling with two teenagers, aged 14 and 15. This hotel had lots for us to do - Excellent restaurants too! Even though the weather was not great, we were able to enjoy the water park and dolphin adventure. Our kids wanted to stay longer. We were there 5 nights. The rooms and views and delightful. The club lounge is a great way to escape from the heat and relax. The staff are always friendly and helpful and quickly changed our room from an open sea view to the Dubai horizon view and resort view. Club lounge is great to go and relax an eat and drink and happy hour is a delight! You also get your own private pool area which was a great treat and access to the water park before the public are allowed in / it's also free access with your stay. Free shuttles to take you around Dubai are out on throughout the day and night. We had a fabulous stay - had been before and loved it then too. Great for couple, families - both young and old kids loved it too! 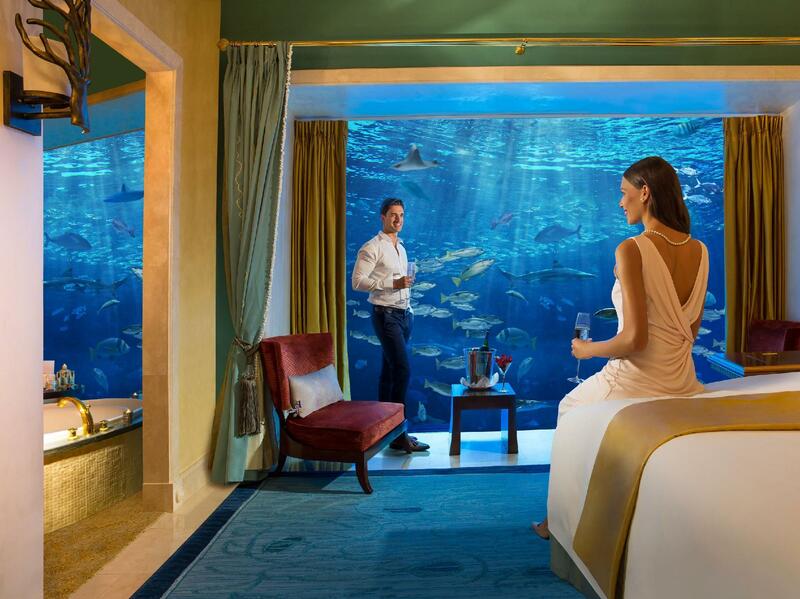 The stay at Atlantis was the most disappointing 2 days of our 4 day trip to Dubai. My husband and I had put in a lot of care and detailed planning for our trip to Dubai. we decided to go ahead with our stay as we had heard such great reviews about the hotel. But to our disappointment it was much less than what we had expected from Atlantis. The rooms were just normal, similar to other 4 star or 5 star hotels offer but here we had to pay a bomb for the room. All activities were unreasonably highly priced, a dolphin interaction for just 10 mins charges around INR 15000 for two person. Apart from this food, buffet are all very expensive. 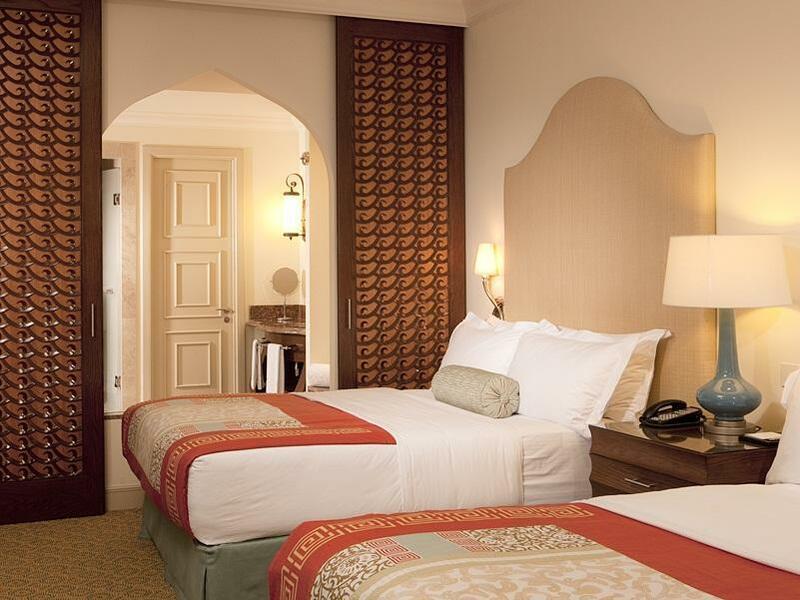 These all charges is acceptable as we are staying in one of the most premium hotels in Dubai. But the most shocking part of our stay was when we got to know that the wi-fi is chargeable here. In the smallest of hotels wifi is free but here we paid AED 100 for 24 hrs Wifi network. This was the biggest let down during the entire stay. It seemed they wanted to extract the last penny possible. For the Water adventure park, the rides were included with our hotel stay but they charged us 40 AED for the lockers. Other then all this what was appreciable are the cleanliness, the beaches, the pool, the gym, the spa...All these were maintained to the tee and we the dress code was also not strict within the hotel premises. The hotel was superb. We stayed in the Imperial club lounge. Staff made you feel very welcome throughout and a walk to the water parks. A great experience for us all. We stayed for only a long weekend at The Atlantis. We booked into the Imperial Club Lounge. On arrival staff were extremely efficient and made us feel very welcome. Breakfast was lovely. You could choose inside or out and there was plenty to choose from. Snacks and drinks were available throughout the day in the lounge area. Free entry into the water park and being able to get there earlier than day visitors who are not staying at the hotel was a real bonus. There is a free shuttle to the malls and return journey at various times throughout the day. We had a late check out due to an early morning flight the next day but we're able to use the lounge acces for drinks and food and for showers. A wonderful experience, an amazing hotel with dedicated staff who know exactly what they are doing - extremely helpful and kind. Will definitely consider booking again if we went back to Dubai.